Our two tiny dogs as tiny pups! 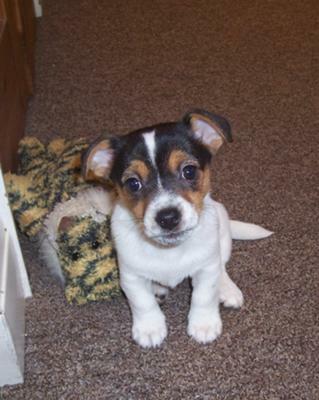 The joys of having two tiny pups photos to go with the story = can't find a way to add to my page? Comments for Our two tiny dogs as tiny pups! 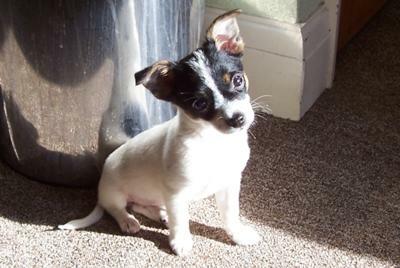 they were very tiny pups (Izzy is a chihuahua crossed with a JRT so is especially small)I've posted some more 'grown up' pictures on here somewhere too.... couldn't add them to the same post! So so cute. They are so tiny, I can't remember my Jacks being that small but I know at some point they were. I especially like the picture of Mia next to the stuffed animal - they are the same size!! I just love the pics of your babies I just wanted to tell you that I just did a new post but it has to be approved but the name of it is my Patchy and my Elvis please take a look at my pics when it comes up Please enjoy them! I've posted some more pics somewhere on here ! ow I have resized all the pics I have managed to upload some more - I love seeing other people's dogs so I hope you enjoy seeing ours!! Thanks Deborah! The pictures are as they were as pups - they are both grown up now and just as adorable Izzy is 5 years next week and Mia is 3 and a half now. I wrote a brief story about them on here somewhere but was unable to upload the pics as they were wrong size and I haven't resolved yet - also don't know if I can add to my own page?? ?